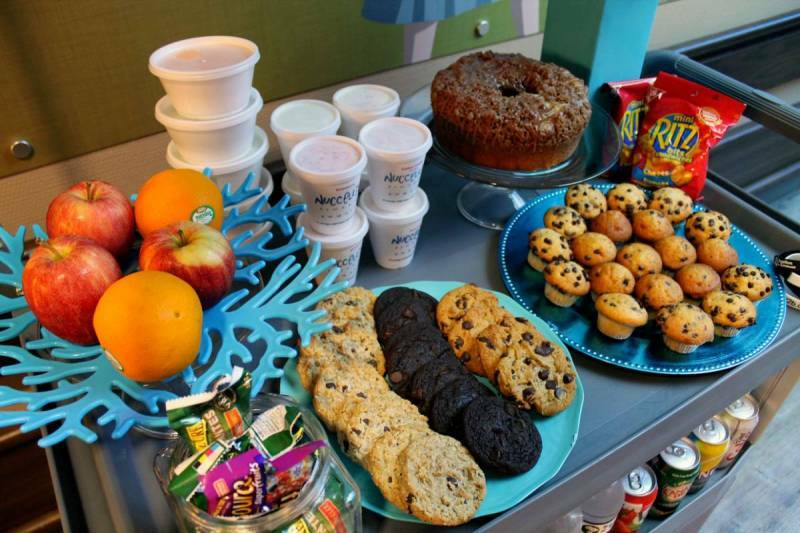 The Comfort Cart is focused on providing patients and visitors with comfort the best way we know how…COMFORT FOOD. 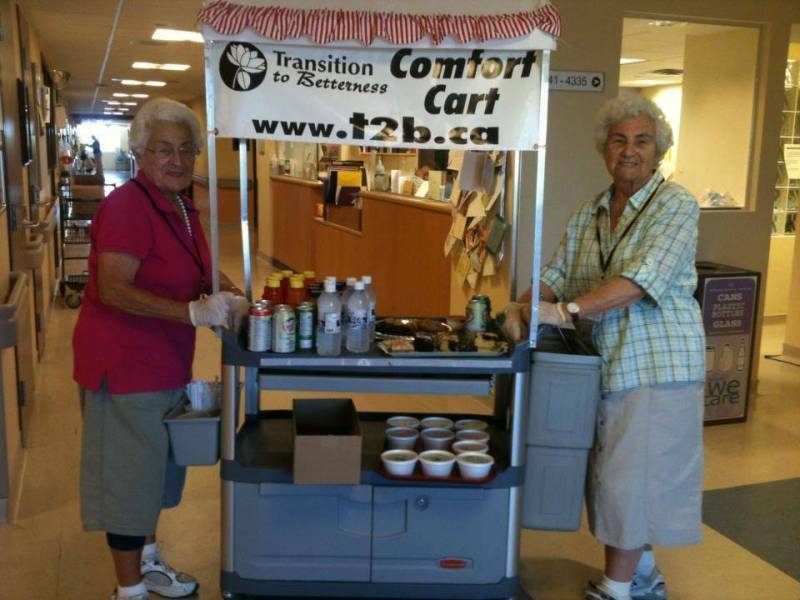 Since 2002 the Comfort Cart has been providing patients and their families with fresh fruit, pastries, frozen yogurt, rice pudding, snacks and nourishing refreshments as a supplement to the hospital menu for both patients and visitors. 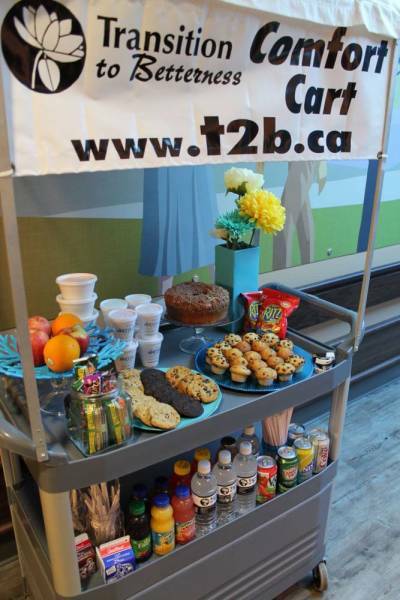 It is complimentary and operated by volunteers Monday through Friday at Windsor Regional Hospital’s Metropolitan Campus Oncology Unit and Hotel Dieu Grace Healthcare’s Tayfour Campus in the T2B Supportive Care Unit, Stephanie and Barry Zekelman Wing.